Acne is an issue that affects preteens, teenagers, and adults. According to the American Academy of Dermatology, an estimated 50 million people in the United States alone are currently living with this skin condition. There are many reasons acne can occur, and just as many that explain why it may show up on only the right side of the face. Acne can be caused by hormonal changes (puberty in both boys and girls, pregnancy, or the use of oral contraceptives), certain medications, stress, a poor diet, or genetics. It appears on areas of the body that have high levels of sebaceous glands. 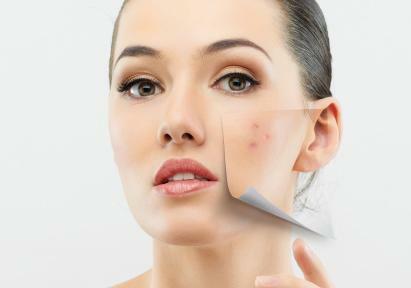 There are times when only the right side of the face will show signs of acne. The key is to determine why it happens and to make necessary changes. Environmental factors play a large role in the appearance and severity of acne. Certain habits can trigger an unwanted irritation of the skin. Unless they are acknowledged and altered, acne is unlikely to go away. Take the way you sleep as an example. Going to bed with your right cheek on the pillow can cause right-sided acne. Pillowcases hang onto dirt and oil, which leads to acne mechanica. (Acne caused by materials or objects touching your face.) When you rest your head on an unclean pillowcase, the built up contaminants clog your pores. That results in a flare up of acne on the right side. There are a few ways to prevent this from happening. The first is to wash your face every night before bed. This will keep the pillowcase as clean as possible. The next is to launder your pillowcases regularly. They need to be changed at least once a week and as often as every two to three days. Also consider the type of laundry detergent you are using. Detergents made for sensitive skin are best as they are less likely to cause a reaction. Another reason acne can appear on the right side of your face is cell phone use. These days, everyone has one. However, people rarely think to clean or disinfect their electronic devices. This can cause a serious build up of bacteria. Every time you shake someone's hand or open a door (only to follow it up with a quick text) you spread bacteria to your phone. 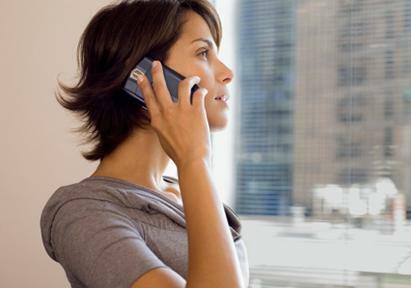 When you make a call, that bacteria comes in direct contact with your face. This can irritate the skin and cause a breakout. If you hold the phone up to the ride side of your face, consider making a few minor adjustments. Try using headphones or a headset when making calls, use a disinfectant wipe to clean your cell phone daily, and always hold the phone away from you. These simple solutions will prevent your skin from coming in contact with acne causing bacteria. Everyone touches his or her face without really thinking about it. Unfortunately, touching your face can result in unwanted acne. According to dermatologist Dr. Ava Shambon in an article on reasons to stop touching your face, it has been proven to cause breakouts. Your fingers spread bacteria, inflame the skin, and increase oil production. The dirt and oils you pick up from everyday actions, like using your keyboard or grabbing lunch, are on your hands. When you touch your face, that bacteria is transferred onto and underneath the surface of the skin. According to a study on face touching, people touch their faces an average of 23 times per hour. That frequency means a high level of bacteria transfer, and if there is an area of your face you often touch, it may not take long for a break out to occur in that area. If you notice acne on one side of the face, then think about your habits. Touching that side more often could be triggering an acne breakout. The best thing to do is keep your hands away from the face. Make a conscious decision to stop. One way to stop to prevent frequent face touching is to try putting a bandage on your pointer finger. This will act as a physical reminder. Once you break the habit, you will notice your skin begin to clear. Long-term research studies have found a link between high sugar foods and acne. Food that has a high glycaemic index, or GI, can effect how severe acne is. It causes hormone levels to rise, which increases the production of sebum. That usually results in a breakout. Foods considered to be high GI include: sugary beverages, chocolate, baked goods, and white bread. This relates to right-sided acne thanks to a traditional form of Chinese medicine, known as Face Mapping. The idea is that the skin's outward appearance can indicate internal health issues. It is believed that the right cheek is linked to sugar. Targeted breakouts in that area suggest there is excess sugar in your diet. Try cutting back on high GI foods and incorporate fresh fruits, vegetables, and whole grains into your meals. There are times when it is necessary to seek further treatment. If you have made changes but do not notice a difference in the overall appearance of your skin, make an appointment with a dermatologist. They will determine the best course of action for your specific needs. That may include the use of prescribed skincare products or more targeted lifestyle changes. It is also a good idea to see a general physician if your skin concerns persist. Acne can be a side effect of serious medical issues, like PCOS (or Polycystic Ovary Syndrome) and diabetes. Acne can be frustrating to deal with. It often causes feelings of embarrassment, low self-esteem, and helplessness. By making thoughtful changes to habits and behaviors, it is possible to eliminate right-sided acne.